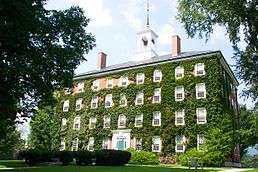 Williams College is a private liberal arts college located in Williamstown, Massachusetts, United States. It was established in 1793 with funds from the estate of Ephraim Williams. Currently ranked 1st place in the U.S. News & World Report's liberal arts ranking for the 14th consecutive year, Williams College is regarded as a leading institution of higher education in the United States. Forbes magazine ranked Williams the second best undergraduate institution in the United States in its 2016 publication of America's Top Colleges, and the best undergraduate institution in its 2010, 2011, and 2014 report. There are three academic curricular divisions (humanities, sciences, and social sciences), 24 departments, 33 majors, and two small master's degree programs in art history and development economics. Students may also concentrate in 12 additional academic areas that are not offered as majors (e.g., environmental studies). The academic year follows a 4–1–4 schedule of two four-course semesters plus a one-course "winter study" term in January. There are 334 voting faculty members, with a student-to-faculty ratio of 7:1. As of 2012, the school has an enrollment of 2,052 undergraduate students and 54 graduate students. Certain portions of the Williams education is modeled after the tutorial systems at the universities of Oxford and Cambridge. Williams is on a 450-acre (1.8 km2) campus in Williamstown, Massachusetts in the Berkshires in rural northwestern Massachusetts. The campus contains more than 100 academic, athletic, and residential buildings. The college competes in the NCAA Division III New England Small College Athletic Conference, and competes in the conference as the Ephs. The Williams college mascot is a purple cow. The college has produced many prominent alumni, including 35 Rhodes Scholars, 7 Pulitzer Prize winners, a Nobel Prize Laureate, 54 members of the United States Congress, 18 U.S. Governors, four U.S. Cabinet secretaries, an Associate Justice of the Supreme Court, and a President of the United States. Other notable alumni include numerous Marshall Scholarship winners, Watson Fellows, Fulbright recipients, CEOs and founders of Fortune 500 companies, high-ranking U.S diplomats, scholars in academia, literary and media figures, and professional athletes. At its founding, the college maintained a policy of racial segregation, refusing admission to black applicants. This policy was challenged by Lucy Terry Prince, who is credited as the first black American poet, when her son Festus was refused admission to the college on account of his race. Prince, who had already established a reputation as a raconteur and rhetorician, delivered a three-hour speech before the college's board of trustees, quoting abundantly from scripture, but was unable to secure her son's admission. More recent scholarship, however, has highlighted how there are no records within the college itself to confirm that this event occurred, and that Festus Prince may have been refused entry for an insufficient mastery of Latin, Greek, and French, all of which were necessary for successful completion of the entrance exam at the time, and which would most likely not have been available in the local schools of Guilford, Vermont, where Festus was raised. In 1806, a student prayer meeting gave rise to the American Foreign Mission Movement. In August of that year, five students met in the maple grove of Sloan's Meadow to pray. A thunderstorm drove them to the shelter of a haystack, and the fervor of the ensuing meeting inspired them to take the Gospel abroad. The students went on to build the American Board of Commissioners for Foreign Missions, the first American organization to send missionaries overseas. The Haystack Monument near Mission Park on the Williams Campus commemorates the historic "Haystack Prayer Meeting". By 1815, Williams had only two buildings and 58 students and was in financial trouble, so the board voted to move the college to Amherst, Massachusetts. In 1821, the president of the college, Zephaniah Swift Moore, who had accepted his position believing that the college would move east, decided to proceed with the move. He took 15 students with him, and re-founded the college under the name of Amherst College. Some students and professors decided to stay behind at Williams and were allowed to keep the land, which was at the time relatively worthless. According to legend, Moore also took portions of the Williams College library. Though plausible, the transfer of books is unsubstantiated. Moore died just two years later after founding Amherst, and was succeeded by Heman Humphrey, a trustee of Williams College. Edward Dorr Griffin was appointed President of Williams and is widely credited with saving Williams during his 15-year tenure. A Williams student, Gardner Cotrell Leonard, designed the gowns he and his classmates wore to graduation in 1887. Seven years later he advised the Inter-Collegiate Commission on Academic Costume, which met at Columbia University, and established the current system of U.S. academic dress. One reason gowns were adopted in the late nineteenth century was to eliminate the differences in apparel between rich and poor students. During World War II, Williams College was one of 131 colleges and universities nationally that took part in the V-12 Navy College Training Program which offered students a path to a Navy commission. Construction had already begun on the third project, called the Stetson-Sawyer project, when economic uncertainty stemming from the 2007 financial crisis led to its delay. College trustees initially balked at the cost of the Stetson-Sawyer project, and revisited the idea of renovating Sawyer in its current location, an idea which proved not to be cost-effective. The entire project includes construction of two new academic buildings, the removal of Sawyer Library from its current location, and the construction of a new library at the rear of a renovated Stetson Hall (which served as the college library prior to Sawyer's construction). The academic buildings, temporarily named North Academic Building and South Academic Building, were completed in fall of 2008. In the spring of 2009, South Academic Building was renamed Schapiro Hall in honor of former President Morton O. Schapiro. In the spring of 2010 the North Academic Building was renamed Hollander Hall. Construction of the new Sawyer Library was completed in 2014, after which the old Sawyer Library was razed. As of the 2008/09 school year, the College eliminated student loans from all financial aid packages in favor of grants. The College was the fourth institution in the United States to do so, following Princeton University, Amherst College, and Davidson College. However, in February 2010, the College announced that it would re-introduce loans to its financial aid packages beginning with the Class of 2015 due to the college's changed financial situation. In January 2007 the board voted unanimously to reduce college CO2 emissions 10% below 1990 levels by 2020, or roughly 50% below 2006 levels. To meet those goals, the college set up the Zilkha Center for Environmental Initiatives and undertaken an energy audit and efficiency timeline. Williams received an 'A-' on the 2010 College Sustainability Report Card, following 'B+' grades on both the 2008 and 2009 report cards. In December 2008, President Morton O. Schapiro announced his departure from the college to become president of Northwestern University. On September 28, 2009, the presidential search committee announced the appointment of Adam Falk as the 17th president of Williams College. Falk, dean of the Zanvyl Krieger School of Arts and Sciences at Johns Hopkins University, began his term on April 1, 2010. Dean of the Faculty William Wagner took the position of interim president beginning in June 2009, and continued in that capacity until President-elect Falk took office. In 2014, Williams College brought their endowment above the 2 billion mark and reported their lowest acceptance rate, with 16.8% of the student being accepted. 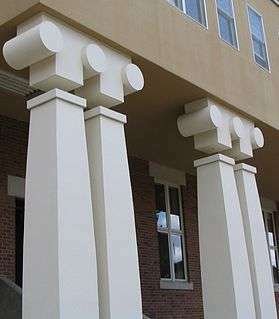 Williams is a small, four-year liberal arts college accredited by the New England Association of Schools and Colleges. There are three academic curricular divisions (humanities, sciences, and social sciences), 24 departments, 33 majors, and two small master's degree programs in art history and development economics. Students may also concentrate in 12 additional academic areas that are not offered as majors (e.g., environmental studies). The academic year follows a 4–1–4 schedule of two four-course semesters plus a one-course "winter study" term in January. During the winter study term, students study various courses outside of typical curriculum for 3 weeks. Students typically take this course on a pass/fail basis. Past course offerings have included: Ski patrol, Learn to Play Chess, Accounting, Inside Jury Deliberations, and Creating a Life: Shaping Your Life After Williams, among many others. Williams students often take the winter study term to study abroad or work on intensive research projects. For freshmen students enrolling in fall 2015, the average SAT scores were 720 in critical reading, 708 in math, and 714 in writing. The average ACT Composite score was 32. In Forbes' 2014 college rankings, Williams was ranked the best undergraduate institution in the United States. In 2015 and in 2016, it was ranked the second best undergraduate institution in the United States. Williams was also ranked 1st in U.S. News & World Report's 2016 ranking Williams is ranked 1st by the National Collegiate Scouting Association, which ranks colleges based on student-athlete graduation rates, academics, and athletics. Certain portions of the Williams education is modeled after the tutorial systems at the universities of Oxford and Cambridge. Although tutorials at Williams were originally aimed at upperclassmen, the faculty voted in 2001 to expand the tutorial program. There is now a diverse offering of tutorials, spanning many disciplines, including math and the sciences, that cater to students of all class years. In 2009–2010 alone, 62 tutorials were offered in 21 departments. Enrollment for tutorials is capped at 10 students, who are then divided into five pairs that meet separately with the professor once a week. Each week, one of the students writes and presents a 5–7-page paper while the other student critiques it. The same pair reverses roles for the next week. The professor takes a more limited role than in a traditional lecture class, and usually allows students to steer and guide the direction of the conversation. Professor ( and former Dean and English Department Chair) Stephen E. Fix was one of the early advocates for expanding the tutorial system at Williams and worked to increase support for the concept and the number of tutorial classes offered to students. The Board appoints as senior executive officer of the college a President who is also a member of and the presiding officer of the faculty. Nine senior administrators report to the President including the Dean of the Faculty, Provost, and Dean of the College. Adam F. Falk was recently elected the 17th president of Williams, and took office on April 1, 2010. The Olmsted Brothers design firm played a large part in shaping the campus design and architecture. In 1902, the firm was commissioned to renovate a large part of campus, including the President’s House, the cemetery, and South College; as well as incorporating the George A. Cluett estate into the campus acreage. Although these campus renovations were completed in 1912, the Olmsted Brothers would advise the gradual transformation of campus design for six decades. The present-day grounds layout reflects much of the design intent of the Olmsted Brothers. Though often overshadowed by the neighboring and much larger Clark Art Institute and Massachusetts Museum of Contemporary Art, WCMA remains one of the premier attractions of the Berkshires. Because the museum is intended primarily for educational purposes, admission is free for all students. The longest running student newspaper at Williams is the Williams Record, a weekly broadsheet paper published on Wednesdays. The newspaper was founded in 1887, and now has a weekly circulation of 3,000 copies distributed in Williamstown, in addition to more than 600 subscribers across the country. The newspaper used to not receive financial support from the college or from the student government and relied on revenue generated by local and national ad sales, subscriptions, and voluntary contributions for use of its website, but the paper went into debt in 2004 and is now subsidized by the Student Activities Tax. Both Sawyer Library and the College Archives maintain more than a century's worth of publicly accessible, bound volumes of the Record. The newspaper provides access free of charge to a searchable database of articles stretching back to 1998 on its website. The student yearbook is called The Gulielmensian, which means "Williams Thing" in Greek. It was published irregularly in the 1990s, but has been annual for the past several years and dates back to the mid-19th century. Numerous smaller campus publications are also produced each year, including The Telos, a journal of Christian thought, The Cowbell, a humor magazine, the Williams College Law Journal, a collection of undergraduate articles, "the Literary Review, a literary magazine, and Monkeys With Typewriters, a magazine of non-fiction essays. The school's athletic teams are called the Ephs (rhymes with "chiefs"), a shortening of the first name of founder Ephraim Williams. The mascot is a Purple Cow. They participate in the NCAA's Division III and the New England Small College Athletic Conference. Williams also competes in skiing and squash at the Division I level. Williams is ranked first among Division III schools for athletic spending per student. Until 1994, Williams was not permitted, by NESCAC rules, to compete in team NCAA competition. The Williams women's swimming and diving team won the school's first national title in 1981, and claimed the title in 1982 as well. Williams played in the 2003, 2004, 2010, and 2014 men's basketball Division III national championship games, winning the title in March 2003. Men's basketball also played in the 1997, 1998 and 2011 Final Fours. Williams was the first New England basketball team to win a Division III championship, and since they have been eligible to compete in the NCAA tournament, no team in the country has played in more Final Fours. In November 2013 Williams College began its 22 million dollar renovation of the Weston Field complex. This upgrade includes an artificial turf football field, relocation of the Plansky Track and Lamb Field, new bleachers, improved lighting and the addition of support buildings for the athletes. The completed facility, scheduled to reopen in September 2014, will allow year round athletic events and practice. Williams enrolled 2,052 undergraduate students and 54 graduate students in 2012. In 2010, women constituted 51.8% of undergraduate students and 61% percent of graduate students. 50% of students receive need-based financial aid and 409 students (19%) qualify to receive Pell Grants. Williams has a 97% freshman retention rate and a 91% four-year graduation rate. 89% of students graduated in the top tenth of their high school graduating class and the inter-quartile range on the SAT was 670–780 for reading, 670–770 for math, and 660–780 for writing. Williams has 334 voting faculty, 92% of whom possess a doctorate or the terminal degree in their field. Students fill out course surveys at the end of each semester, which play a large role in determining faculty tenure decisions. Recently, there has been controversy over popular teachers being denied tenure based on other factors, including publication rates. Michael F. Brown, noted anthropologist, who became President of the School for Advanced Research in 2014. Joan Edwards of the biology department, who has a Guinness World Record for discovering the fastest blooming plant, the bunchberry. Keith Fowler, who founded and directed professional repertory theaters in Virginia, and was later Chief of Directing at the Yale School of Drama and Head of Directing at the University of California, Irvine. Louise Glück, winner of the 1993 Pulitzer Prize in poetry. As of August, 2013, there are 30,300 living alumni of record, and 70 regional alumni associations nationwide and overseas. Alumni participation in the 2011-12 Alumni Fund was 62.5%. More than 58% of the alumni from the classes of 1980 to 2000 have earned at least one graduate or professional degree. The most popular graduate disciplines for alumni are management, education, law, and health care. The Society of Alumni of Williams College is the oldest existing alumni society of any academic institution in the United States. The Society of Alumni was founded during the "Amherst crisis" in 1821, when Williams College President Zephaniah Swift Moore left Williams. Graduates of Williams formed the Society to ensure that Williams would not have to close, and raised enough money to ensure the future survival of the school. ↑ The Latin word armiger means literally "armour carrier"; in the Middle Ages it meant a knight's shield-bearer or "squire"; by the 18th century it was used to translate Esquire, a rank which by then meant a man holding one of various offices, including military commissions. ↑ As of June 30, 2016. "Williams College Consolidated Financial Statements June 30, 2016 and 2015" (PDF). Williams College office of the Controller. 2016. p. 27. ↑ "Visual Identity – Office of Communications". ↑ "Williams College - Sports Information". ↑ "U.S. News college rankings: Princeton, Williams and UC-Berkeley at the top, again". Washington Post. Retrieved 2016-09-23. ↑ "National Liberal Arts College Rankings | Top Liberal Arts Colleges | US News Best Colleges". colleges.usnews.rankingsandreviews.com. Retrieved 2016-02-05. ↑ "America's Top Colleges". Forbes. July 30, 2014. ↑ "Harvard Is Only The 7th Best College In The Country, According To Forbes". Retrieved 2016-09-23. ↑ "Williams College: At a Glance". The College Board. Retrieved 2008-03-08. 1 2 "Fast Facts". Williams College. Retrieved 2008-10-15. 1 2 3 Proctor, Jo. "Frequently Asked Questions". Williams College. Archived from the original on October 22, 2007. Retrieved 2007-09-15. ↑ "Home | The Rhodes Scholarships" (PDF). www.rhodesscholar.org. Retrieved 2016-08-13. ↑ "Our Fellowship Winners | Williams College". www.williams.edu. Retrieved 2016-08-13. ↑ Heyes, Michael. "Cycling in the Berkshires". Retrieved 2007-09-13. ↑ James, Edward T. (1971). Notable American Women, 1607-1950, Vol. III. Cambridge, MA: Belknap Press of Harvard University Press. p. 573. ISBN 978-0674627345. 1 2 Phelps, John Wolcott and Rodney B. Field (1888). The Local History of Guilford, Vt., 1754-1888. Chicago: Anny Maria Hemmenway. p. 79. ↑ Wheatley, Phillis (2001). Vincent Carretta, ed. Complete Writings. New York: Penguin. p. 199. ISBN 978-0140424300. ↑ Proper, David R. (January 1992). "Lucy Terry Prince: "Singer of History"". Contributions in Black Studies: A Journal of African and Afro-American Studies. 15. 9: 14. Retrieved 17 March 2013. ↑ "Williams College Presidents". Williams College. Archived from the original on August 23, 2007. Retrieved 2007-09-15. ↑ "Academic Garb". Williams College. Archived from the original on May 21, 2009. Retrieved 2009-04-16. ↑ Walters, Helen. "The Story of Caps and Gowns," p. 9. Chicago: E. R. Moore, 1939. ↑ Leonard, Gardner Cotrell. "The Cap and Gown in America; Reprinted from the University Magazine of 1893; To Which is Added: An Illustrated Sketch of the Intercollegiate System of Academic Costume," p. 9. Albany, New York: Cotrell & Leonard, 1896. ↑ "The V-12 Program". Williamstown, Massachusetts: Williams College. 2011. Retrieved September 27, 2011. ↑ "Elimination of fraternities". Retrieved 2007-09-19. ↑ Richardson, Chris. "Costs are still a concern, but project gains support". Williams Record Archive. Retrieved 2007-09-20. ↑ "Williams College: Neighborhood System 2006–2007". Williams College. Archived from the original on May 26, 2007. Retrieved 2007-09-20. ↑ "Williams College: Neighborhood Review Committee Interim Report". Williams College. Retrieved 2009-11-09. ↑ "Climb Far: The Williams Campaign". Williams College. Archived from the original on October 27, 2009. Retrieved 2009-10-05. ↑ "Letters from the President". Office of the President, Williams College. Archived from the original on November 16, 2007. Retrieved 2007-11-02. ↑ Steinberg, Jacques (February 2, 2010). "Williams College Will Bring Loans Back to Aid Packages". The New York Times. ↑ Censky, Annalyn (April 9, 2010). "No loans! Major colleges pledge aid without debt". CNN. ↑ Supiano, Beckie. (2010-04-08) Most Colleges Plan to Stick With Pledges to Limit Loans in Student Aid - The Ticker - The Chronicle of Higher Education. Chronicle.com. Retrieved on 2013-08-02. ↑ "Williams Sustainability Initiative". Williams College. Retrieved 2008-05-08. ↑ "College Sustainability Report Card". College Sustainability Report Card. Retrieved 2009-11-09. ↑ "Pres. Shapiro to Lead Northwestern". Letters from the President. Archived from the original on December 19, 2008. Retrieved 2008-12-20. ↑ "Adam Falk Named 17th President of Williams". Williams College Press Releases. Retrieved 2009-10-05. ↑ "Williams College Admits 1,159 Students for Class of 2019 – Office of Communications". ↑ Carnegie Foundation for the Advancement of Teaching. "Carnegie Classification". Retrieved June 7, 2011. ↑ "Accreditation Process". Williams College. Retrieved 2008-10-15. ↑ "Tuition and Fees | Office of the Bursar". bursar.williams.edu. Retrieved 2016-02-05. ↑ "Affordability | Admission". admission.williams.edu. Retrieved 2016-02-05. 1 2 3 4 5 "Williams College Common Data Set" (PDF). Williams College. Retrieved 2011-04-29. ↑ "The Williams-Exeter Programme". Williams College. 2009. Retrieved December 20, 2009. ↑ "Williams at Exeter Programme in Oxford". Exeter College, Oxford. Retrieved September 11, 2009. 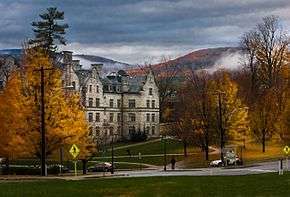 ↑ "Williams College Admits 1,206 Students for Class of 2020 | Office of Communications". communications.williams.edu. Retrieved 2016-05-09. 1 2 3 "Common Data Set 2015-2016, Part C" (PDF). Williams College. ↑ "Common Data Set 2014-2015, Part C" (PDF). Williams College. ↑ "Common Data Set 2013-2014, Part C" (PDF). Williams College. ↑ "Best Colleges 2017 - Williams College". U.S. News & World Report. Retrieved November 11, 2016. ↑ Carnegie Foundation for the Advancement of Teaching. "Carnegie Classification". Retrieved 2011-03-15. ↑ Ewalt, David M. (August 11, 2010). "Forbes 2010 America's Best Colleges". Archived from the original on September 18, 2012. 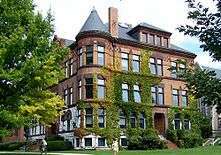 ↑ National Liberal Arts College Rankings | Top Liberal Arts Colleges | US News Best Colleges. Colleges.usnews.rankingsandreviews.com. Retrieved on 2013-08-02. ↑ "Who Does Your College Think Its Peers Are?". 10 September 2012. ↑ 10 Colleges With the Highest 4-Year Graduation Rates. usnews.com (October 4, 2014). Retrieved on January 1, 2015. ↑ "Course Catalog 2009–2010 (PDF)". Williams College. Retrieved 2009-10-05. ↑ "The Williams College Difference". Williams College. Retrieved 2007-07-15. ↑ "Williams College Employee Handbook". Williams College. Retrieved 2008-10-15. ↑ "Williams College's financial muscle grows with impressive endowment return - Boston Business Journal". Boston Business Journal. Retrieved 2016-01-07. ↑ "Williams College". The Cultural Landscape Foundation. The Cultural Landscape Foundation. Retrieved 16 January 2015. ↑ Bishop, Karina. "The Olmsted Firm in the Berkshires". The Cultural Landscape Foundation. The Cultural Landscape Foundation. Retrieved 16 January 2015. 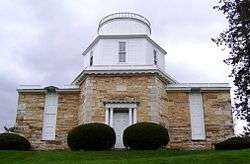 1 2 Pasachoff, Jay M. "Williams College's Hopkins Observatory: the oldest extant observatory in the United States". Smithsonian/NASA ADS Astronomy Abstract Service. Retrieved 2007-09-19. ↑ "Astronomy Department and the Hopkins Observatory". Williams College. Retrieved 2007-09-19. ↑ "The Keck Northeast Astronomy Consortium". Vassar College. Archived from the original on September 17, 2007. Retrieved 2007-09-19. ↑ "History of the Chapin Library". Williams College. Retrieved 2007-09-19. ↑ Library, Chapin. "The Founding Documents of the United States". ↑ "Chapin Library Collections". Williams College. Retrieved 2007-09-19. 1 2 "Welcome to WCMA". Williams College Museum of Art. Retrieved 2007-09-19. ↑ "Williams College Museum of Art Presents: Drawing on Hopper". Williams College Museum of Art. Retrieved 2007-09-19. ↑ "Exhibitions". Williams College Museum of Art. Retrieved 2007-09-19. ↑ "Williams College Museum of Art Williams College Museum of Art to Honor Benefactors to 75th Anniversary Sculpture Installation". Williams College Museum of Art. Retrieved 2007-09-19. ↑ "Biographical Chronology of Mark Hopkins". Williams College Archives and Special Collections. Retrieved 2008-03-18. ↑ "Biographical Chronology of Albert Hopkins". Williams College Archives and Special Collections. Retrieved 2008-03-18. 1 2 "35th Semi-Annual Williams College Trivia Contest". Williams Students Online. December 5, 1983. Retrieved 2007-09-19. ↑ "91.9 WCFM Williamstown". Retrieved 2007-09-19. ↑ "WCFM Schedule". 91.9 WCFM Williamstown. Retrieved 2007-09-19. ↑ "Become a DJ". 91.9 WCFM Williamstown. Archived from the original on June 27, 2007. Retrieved 2007-09-19. ↑ "WCFM Presents...". 91.9 WCFM Williamstown. Archived from the original on June 27, 2007. Retrieved 2007-09-19. 1 2 "Contest Rules (and Rules of Thumb) for the semi-annual Williams College Trivia Contest". Willipedia. Retrieved 2007-09-19. ↑ "The Williams Trivia Contest Depository". Willipedia. Retrieved 2007-09-19. ↑ Thomas Vinciguerra (June 6, 1999). "Word for Word/Trivia Marathon; Pulling an All-Nighter at This College Means Acting Out 'Nietzsche in Love'". New York Times. Retrieved January 10, 2012. ↑ "Williams College Campus Life". CollegeData. Retrieved 2007-09-15. 1 2 "The Purple Cow Mascot". Williams College Archives and Special Collections. Retrieved 2007-09-15. ↑ "Washington Gladden (1836–1918)". Williams College Archives and Special Collections. Retrieved 2007-09-20. ↑ Gladden, Washington (1909). Recollections. Houghton Mifflin. ↑ "About Williams – Williams Traditions". Williams College. Retrieved 2009-01-16. ↑ "Wagner declares 'Siberian' Mountain Day". Williams Record. Retrieved 2009-11-09. ↑ Reynolds, Lauren. "Sibling rivalry: Williams-Amherst remains heated". ESPN. Retrieved 2007-09-20. ↑ Properties | Williams College Facilities. Facilities.williams.edu. Retrieved on 2014-04-12. ↑ "Distribution of Federal Pell Grant Program Funds by Institution". US Department of Education. Retrieved 2008-10-15. ↑ "College Navigator: Williams College". National Center for Education Statistics, U.S. Department of Education. Retrieved 2008-10-10. ↑ "About Williams". Williams College. Retrieved 2007-07-15. ↑ "Mladenovic, Whitaker appeal tenure calls". 18 April 2007. ↑ Malakoff, David. "Tiny Plant Bursts Open at Explosive Speeds". NPR. Retrieved 2007-07-20. ↑ "Kermit Gordon (#86)". John F. Kennedy Presidential Library and Museum. Retrieved 2007-07-20. ↑ DiYanni, Robert (2008). "The History of AP Program". CollegeBoard.com. Retrieved July 23, 2009. ↑ Hevesi, Dennis. "Clara Claiborne Park, 86, Dies; Wrote About Autistic Child", The New York Times, July 12, 2010. Retrieved July 13, 2010. ↑ "Jay Pasachoff". Williams College. Retrieved 2007-07-20. ↑ "Seulemonde Conversation with Professor Mark C. Taylor". University of South Florida:College of Arts and Sciences. Archived from the original on June 7, 2007. Retrieved 2007-07-20. ↑ Fast Facts About Williams | Office of Communications. Communications.williams.edu. Retrieved on 2013-08-02. ↑ "History of The Williams Club". The Williams Club of New York. Retrieved 2007-09-20. "Williams College". Encyclopedia Americana. 1920.